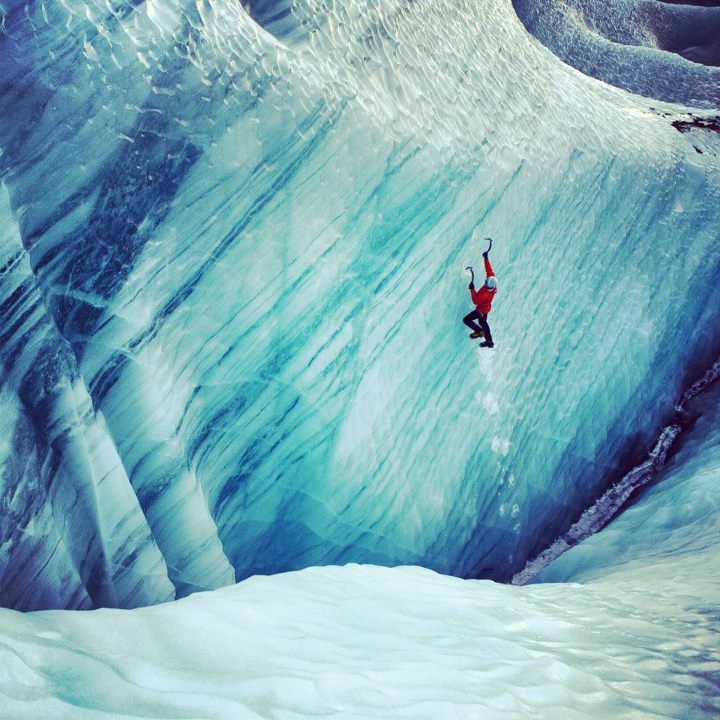 This eight part series brought to you by AMGA SPI guide Ben Carlson and co-owner of Furnace Industries is geared to get you training preparing you for Mixed & Ice climbing. These to-the-point, no B.S. posts will get you ready for the upcoming ice climbing season. 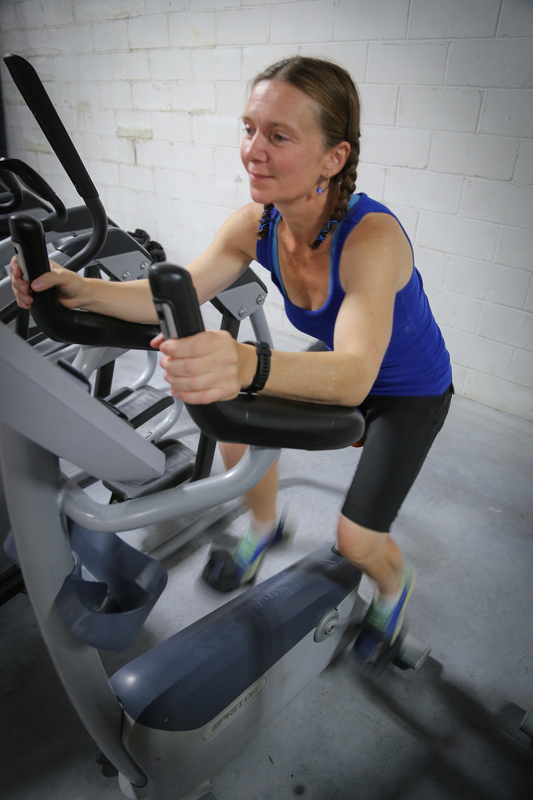 We’ll use photos and videos to show you the exercise and proper technique with ACE Certified Fitness Trainer and Ice Climber Marian DeWitt. These posts are not designed for beginners. 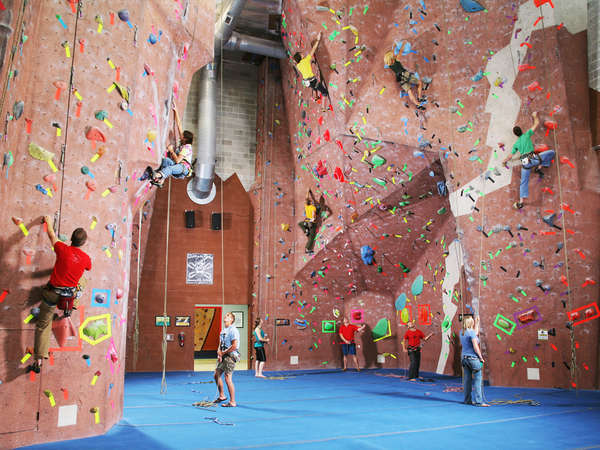 We will assume you know the basics of climbing and working out. Whether your goal is a 550’ stout icy directiissima like Bridalveil Falls in Telluride or a bouldery mixed climb at Haffner Creek, this series is meant to get you stronger so you can climb harder, longer, and most importantly, SAFER. Because what’s better than climbing?….More climbing! Choosing a goal will make training much easier. So, what is your goal? Aiming to tackle a big new climb this season? Weekend warrior? Just climb ice as much as you can? Write your goals down. Right now. Make it real. Not just on a computer, use an actual pen. Set a photo of it as your desktop pic or smartphone background. 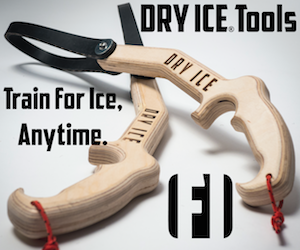 Make it the focus of your ice climbing training. Whatever your goals are, you need to be strong and aerobically fit to be safe. We’re going to get you there. -Take 10 minutes to warm up and cool down properly. Light running, biking, stretching. -Training too hard or too often can cause overuse injuries like stress fractures, stiff or sore joints & muscles, and inflamed tendons and/or ligaments. Activities requiring repetitive wear and tear on certain parts of your body – such as climbing (shoulders, elbows, fingers) – are often the cause of overuse injuries. Mix different kinds of activities, get sufficient rest, stretch, and hydrate! -Listen to your body. Hold off on exercise when you’re sick or feeling very fatigued. Cut back if you cannot finish an exercise session, feel faint or fatigued during the day, or suffer persistent aches and pains in joints after exercising. It’s a cliche but it’s true: we have to learn to walk before we can run. Our goal here is to build and maintain a solid foundation so you can focus future workouts on mixed & ice climbing specific exercises. If any of this sounds boring, make it fun by working out with a friend, listening to music, slackline between sets, or whatever you must do to get and remain amped. Doing nothing else, the regimen below should be your standard workout to get yourself ready for ice climbing. If your goal is just to climb a lot, this will prepare you. If you can’t do all of these at first, that’s OK, work up to it and do the best you can. You will see improvement quickly. 30-40 mins running, biking, or swimming. Get that heart rate UP! 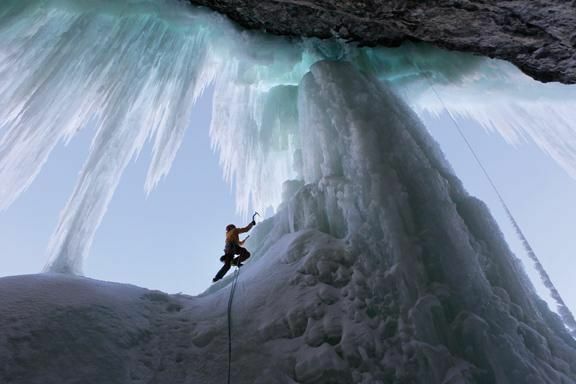 Few muscles get worked as much in ice & mixed climbing as the calves. Get them use to the abuse now and you’ll be ready for that extended screw placement while toed in with your crampons. 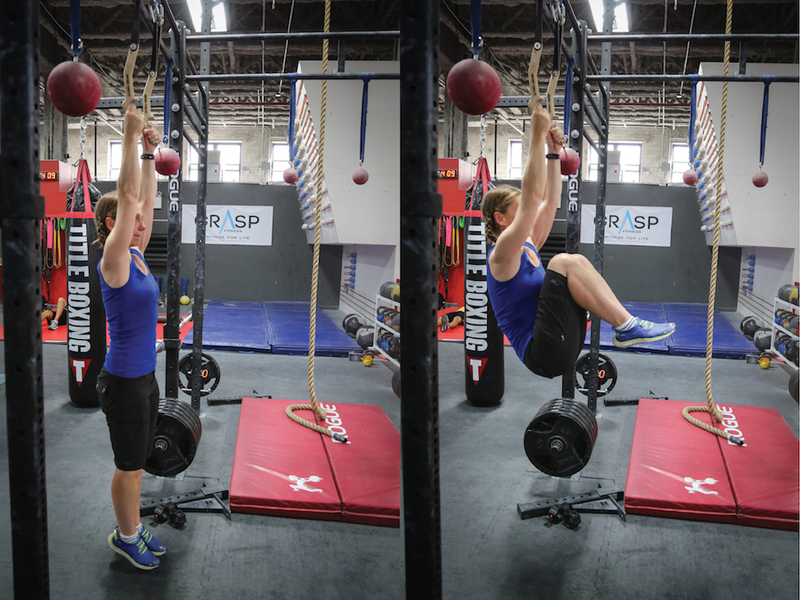 The dead hang is a simple exercise and is a great way to develop the fundamental grip strength. 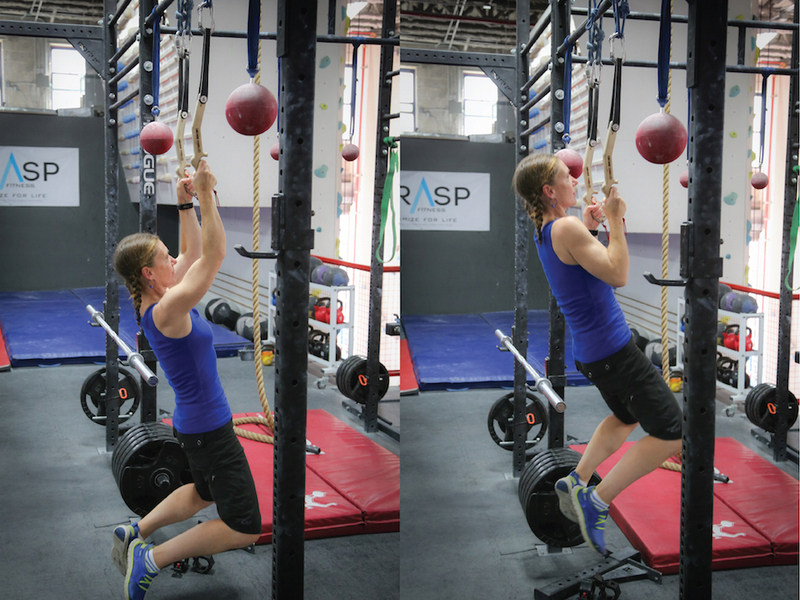 It’s important to learn to dead hang with good form. Maintain a shoulder width grip. Shoulders are pulled down and back so that it doesn’t feel like your arms are being pulled from the sockets. Hang for as long as you can. Repeat and try to beat you longest time. Do this for 10 minutes. 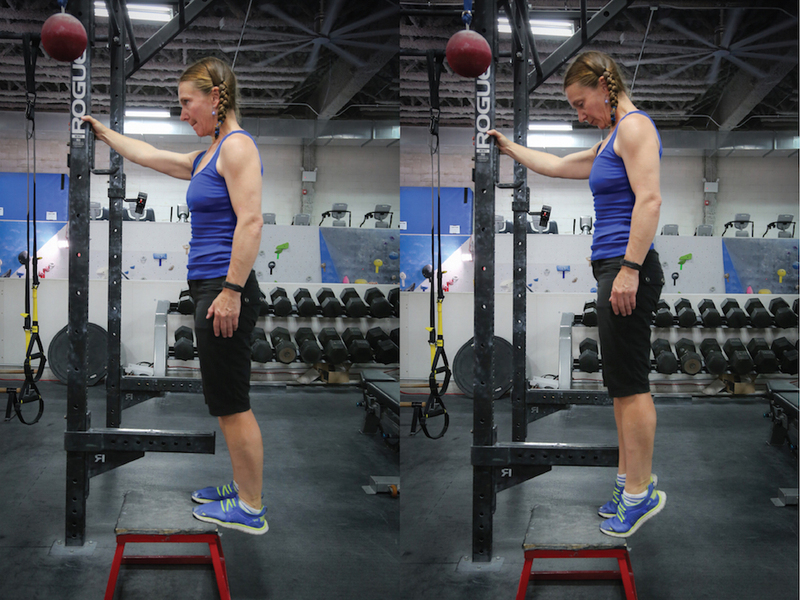 Ideally you have access to a low pulley row machine with a V-bar. 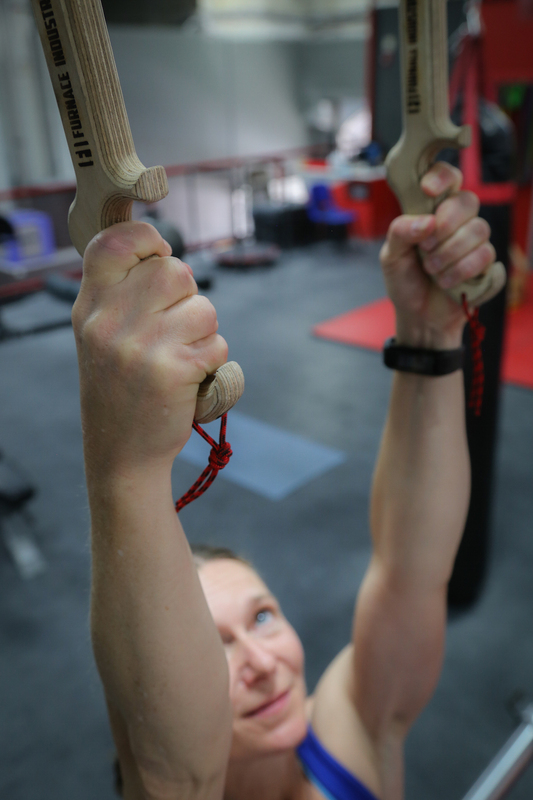 The V-bar enables you to have a neutral grip where the palms of your hands face each other (like ice tools). If you don’t, there are a bazillion variations to the row that can be done with free weights, exercise bands, even a rock. 2-3 Hours Climbing in the Gym. This is the first post in a series of eight to get you ready and training for ice & mixed climbing.